Montevina hasn’t been released yet, but Intel has already started talking about its next-generation mobile platform this morning. 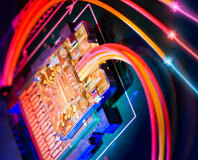 Calpella is its name and it’ll be based on Intel’s upcoming Nehalem processors. Details are light at the moment, but it’ll build on what Montevina will deliver – we’ll no doubt hear more as we get closer to its launch. Dadi Perlmutter says that it’ll deliver stunning new visual experiences, revolutionary power management technology along with more management and security features for businesses. “It’s going to make mobile computing more personal and more desirable,” he said. Perlmutter then showed off some of the new power saving improvements it has made with the next, next generation mobile platform. 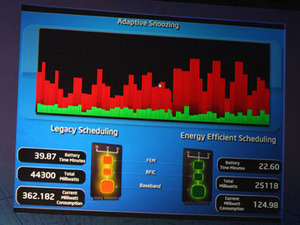 It's known as Adaptive Snoozing and it helps to improve scheduling to such an extent that it provides significant reductions in power consumption. This will enable much longer battery life--Perlmutter quoted up to a 30 minute improvement over Montevina, which is pretty impressive. 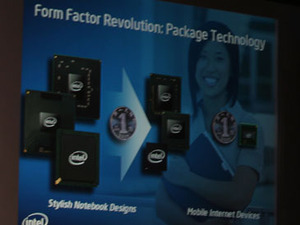 He finished on this topic by saying that form factor, style and fashion are becoming increasingly important in notebooks and Calpella will allow Intel’s partners to take this one step further.